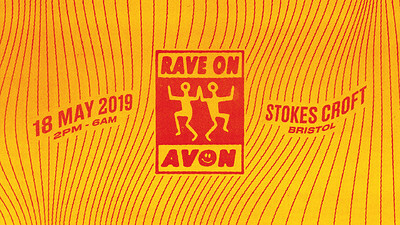 RaveOnAvon 2019 will be our last in Stokes Croft, after 11 years of bringing the area to life for the ultimate start to a summer of partying. We have all seen the sad news about the closure of The World Famous Blue Mountain Club, and the potential for the sale of Lakota. Stokes Croft has seen many changes over the last decade. Along with increasing demands from Police and the council, drastically increasing budget, and reducing our ability to deliver the event you want, and deserve, this is now affecting the potential future of Bristol’s landmark club event. Multiple venues providing the rich diversity of dance music you have come to expect, from some of Bristol’s best Promoters, Artists, and partying connoisseurs. As well as some of your favourite venues, we’ve added some new locations into the mix, to make this final farewell to Stokes Croft, the send off it truly deserves. The music programme will be the best RaveOnAvon has ever seen, with X promoters, and more headliners, many of them Bristol residents, showcasing the incredible talent that always has, and always will, place Bristol’s dance music, and club culture, firmly on the international stage.